If you are not logged in, you will be taken to a different URL. Select the package you want to upgrade to. Don't worry about the package cost yet. Click on "Next Step". The next step screen should have the correctly calculated upgrade cost. When the cost is correct, people have confirmed that they are are successfully upgrading! Select your payment type and follow the on screen instructions to complete your transaction. 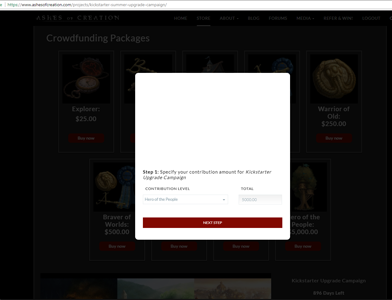 To confirm that the transaction was successful, navigate your browser to: https://www.ashesofcreation.com/dashboard/?idc_orders=1 You should see a new order line. If the amount is not correctly calculated, it may be an issue with your browser being cached. Try using a different browser or Chrome incognito mode. There is a known issue as of 10:26 PDT on 7/12/17. Please wait 24 hours and try again before proceeding to email Intrepid. If you still cannot resolve, email cs@intrepidstudios.com with the subject "Upgrade issues". All summer and kickstarter backers will receive the Wand of Many Things! The summer backers will not be able to use the Kickstarter upgrade store. The Kickstarter upgrade store is currently reading 896 days remaining. Steven will confirm in the AM of 7/14/17 whether that end of campaign date is correct. Buying a la carte add-ons should be available by 7/14/17. 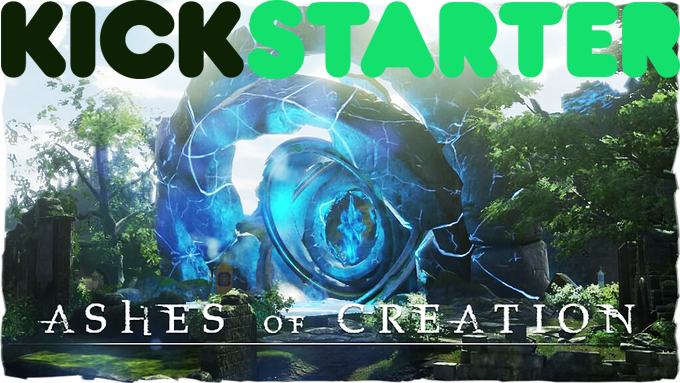 Steven had mentioned a proposal about unlocking all summer backer rewards for certain Kickstarter tiers. That proposal is confirmed off the table now. If you no longer see the summer backer counter, it is because you are on the Kickstarter upgrade store and not the summer store. 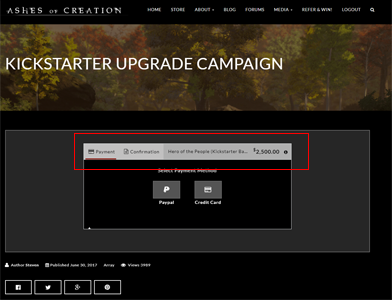 Log out of ashesofcreation.com if you would like to see the summer store.